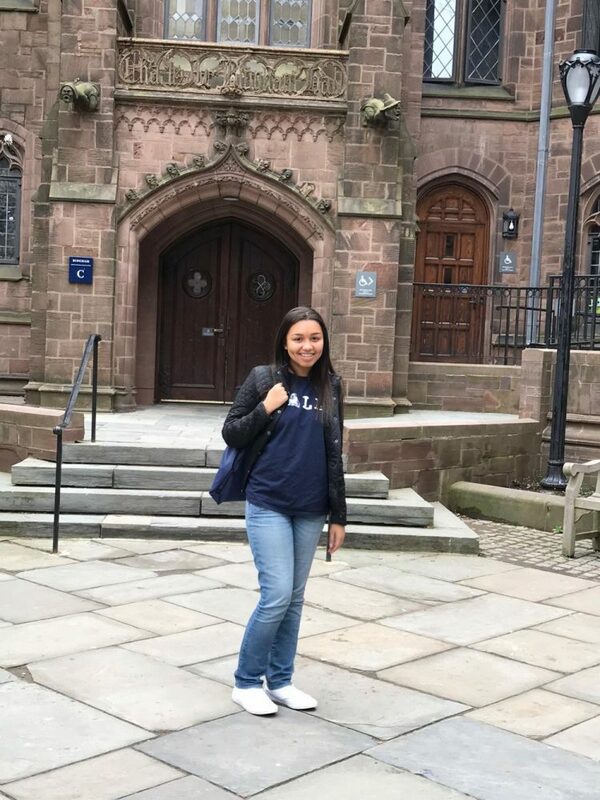 With laughter and passion in every step, Elyse VanderWoude gets ready to embark on her newest journey of attending Yale in the Fall. VanderWoude will be in the first graduating class of Sage Creek high school. Since a young age she has been counting down the days until she could take the needed steps to completing her goals. Even though some parts of the application process may have been tedious, VanderWoude didn’t have one doubt when applying to her dream school. In college, VanderWoude will be pursuing her love for history and medicine in hopes of going to medical school, and following a path toward surgery. On her path to discovering her area of study, VanderWoude was an avid student in the BioMed program. Through her journey in the Biomed program, BioMed teacher, Valerie Park, has been with her from beginning to end. “She really puts her all into all of the work she turns in and she’s very reliable. I think the fact that Elyse has taken all four years of the biomedical sciences pathway shows her dedication,” Park praised. Along with Park, a close friend Maisha Zaman, a senior, has been by her side day in and day out. After the application process VanderWoude’s waiting game had her thinking she would have rejection in her near future, but all that soon changed. As VanderWoude leaves Sage Creek she has some new found wisdom that helped her through her application process she hopes to share with others. 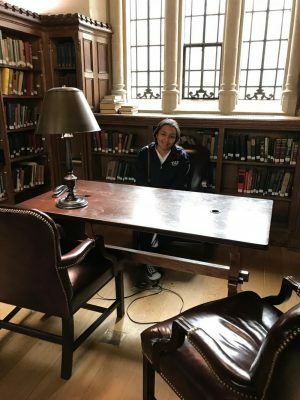 Elyse VanderWoude studies hard as she is preparing to attend Yale. For VanderWoude, her passion was jazz, her love for singing, and volunteering. Along with her passion for volunteering, VanderWoude became the founder of Sage Creek’s Model United Nations club in 2014. At Model UN meetings you simulate the United Nations. Overall, as VanderWoude departs from high school she hopes to leave a legacy of the passion and drive she has within her. “I just think of myself as an average person that just has goals and works hard,” VanderWoude concluded.